Andrea Tantaros, a former host of Fox News Channel program like ‘The Five’ and ‘Outnumbered’, is the latest female staffer at the popular cable-news outlet to levy sexual-harassment charges at the 21st century Fox-owned property. Andrea Tantaros filed sexual harassment charges for $49 million! Andrea Tantaros charged that top executives at the Fox network, including the man who replaced Mr. Roger Ailes has punished her for complaining about sexual harassment by Mr. Roger in a lawsuit filed on Monday. The suit was filed in New York State Supreme Court in Manhattan by Ms. Tantaros. Tantaros also alleges Mr. Roger had made demeaning remarks to her several times, like ‘I bet you look good in a bikini!’ Even, Mr. Roger had also asked inappropriate questions several times that where related to her romantic life. According to her, he had been asking questions about romantic lives of other Fox News staffers too! Mr. Roger Ailes not the only one! Also, Ms. Tantaros said that she had been subjected to unwelcome advances from the host Mr. O’Reilly, whom she had regarded as a friend and adviser. 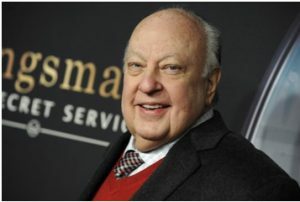 And, she also revealed during arbitration that the Fox News had offered her to pay a sum ‘in the seven figures’, if she renounced claims against Mr. Roger Ailes and others at the Fox network! The lawsuit filed by Andrea Tantaros seeks as much as $23 million, as well as $26 million in punitive damages and reimbursement of attorney fees! Fox News said that it would not comment on pending litigation. The case of former anchor, Gretchen Carlson! Earlier a former anchor, Gretchen Carlson had also said in a lawsuit that she was fired for refusing his sexual advances! Ms. Carlson had alleged that her contract at the Fox network was terminated after she had made complain about how women were treated at the news network. Mr. Roger Ailes, who is the network’s founding chairman and also the guiding force for 2 decades had resigned last month after this. However, Mr. Roger Ailes has denied all allegations of harassment. US Air force Drone Crashes Yet Again In Southern Afganistan!